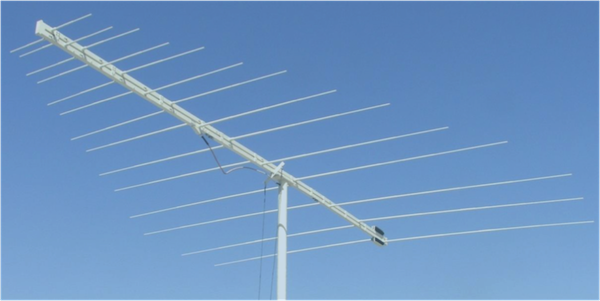 The antenna handles up to 2 kW of power, with 6 dBi of gain, giving it a 80° - 100° H-plane beamwidth, and can be used for reception up to 400 MHz. Polarization is adjustable between vertical and horizontal without lowering the mast. The antenna breaks into three for compact storage, and can be fully erected from packaged by two people in less than 10 minutes.